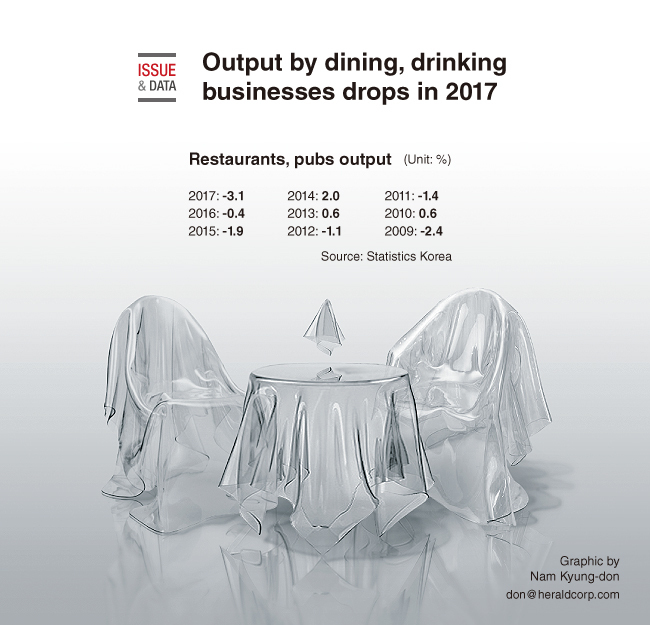 According to Statistics Korea, output by dining and drinking businesses was down 3.1 percent in the January-November period last year. The scope of the contraction is the largest since the statistical office started compiling data in 2000 and bigger than the 2.4 percent tallied in 2009. The latest data showed that the output of the industry will mark the third consecutive year of contraction, following a 1.8 percent drop in 2015 and a 0.8 percent fall in 2016.